As the setting for several of Shakespeare's plays (most famously, "Romeo and Juliet)," Verona is a beautiful and historic Italian city, with many cultural attractions to see. To make the most of your visit, you may be able to save time and money by purchasing a Verona Card, an all-inclusive ticket to most attractions, museums, and churches as well as free bus transportation within the city. There are a few attractions that the card does not cover, but in those cases, it can be used to get a small discount for entry tickets. The Verona Card can be purchased at the ticket office of most popular attractions around the city. The only exception is the Lamberti Tower ticket office, which does not sell the pass. Some hotels and tobacco shops also sell them, so be sure to check with your hotel concierge. The cost of a Verona Card is 20 euro for 24 hours and 25 euro for 48 hours after the first validation. When you buy the Verona Card, you don't have to use it immediately. Its validity starts with the first admission for which you use it (the first time it is stamped), and it's good for 24 or 48 hours after that, depending on which pass you purchase. The 48-hour version costs only a five more euros than the 24-hour version, so it makes a good choice even if you plan to use it once or twice the next day. Once you have the card you don't need to buy any tickets. This saves you a lot of time because you don't have to stand in line. Instead, just show your card, and the ticket taker will mark off the attraction. The card works for one admission to each site plus bus travel. Admission is free to attractions for children under 8 years old and to churches for children under 12. Most sites and museums open at 8:30 a.m. and close at 7:30 p.m. They are also typically closed Monday mornings, but hours may vary by site and by season. Churches have shorter opening hours and cannot be visited Sunday mornings or during other services. 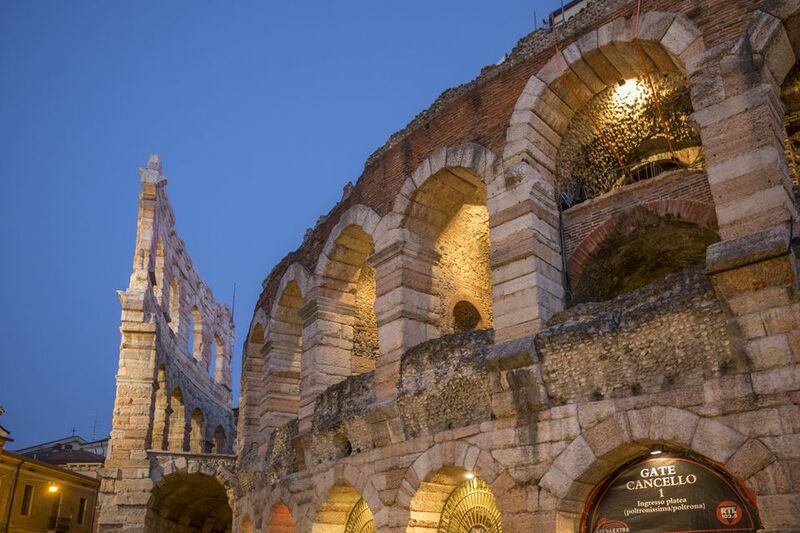 The Verona Tourist Offices offers itineraries that will take you to many of the places listed for the Verona Card including a Romeo and Juliet tour and an itinerary just for children.